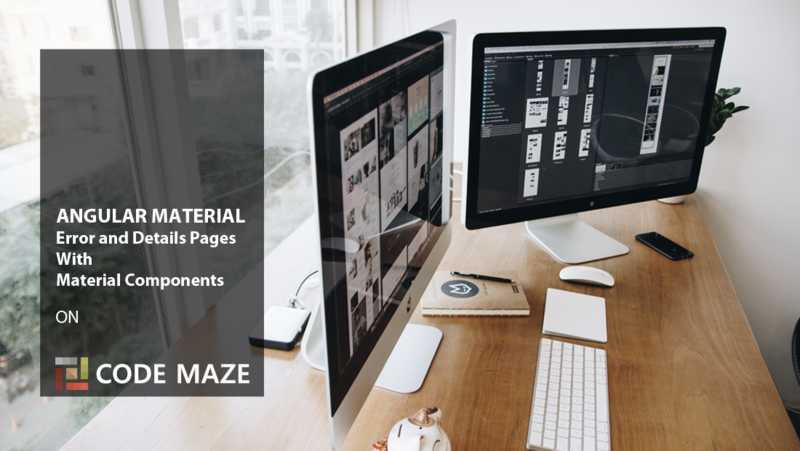 In this article, we are going to create the error pages and the details component. The main focus will be on the material components. We are going to create the Not-Found component, the Server-Error component, and finally the Owner-Details component. Through these components, we will learn how to use different Angular Material components in our project. 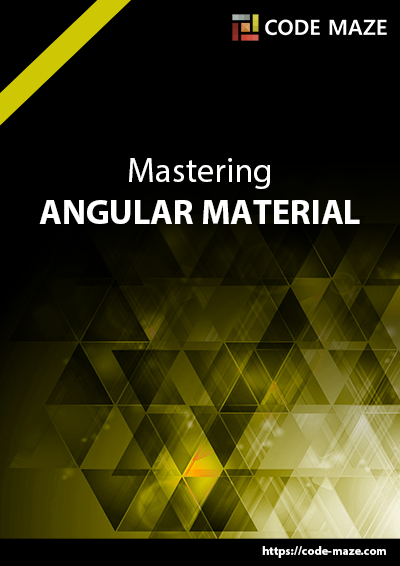 For the complete navigation and all the basic instructions of the Angular Material series, check out: Introduction of the Angular Material series. We strongly recommend reading our Angular Series prior to reading this article, if you want to restore your knowledge about that topic or to learn Angular development overall. Now, if we try to load some non-existing address, we will get the NotFound component instead, with the “not-found works”. ... But we can not find it. Let’s continue with the Server-Error component. It is not enough just to have the error pages, we need to handle errors and to redirect the user to the required page. For that, we are going to create an error-handler service. We are just going to write our code, without any explanation because this is all angular specific. We have a great article .NET Core 2.0, Angular and Mysql. Error Handling in which we have explained everything related to the topic. That is it. Now if our server returns the not found response we will redirect a user to the not found page. Same will happen for the internal server error, just another page. After all of these changes, we need to modify the owner-details component, to show our details data on the page. We have prepared the logic to fetch the data from the server, so the obvious continuation is to show that data on the HTML page. Because we are going to have a lot of code for this component, we are going to create two additional components to spread our HTML code between them. We are going to modify the owner-data component first. And there you go. We have created additional pages in our project and made them functional and prettier by using Angular Material Components. 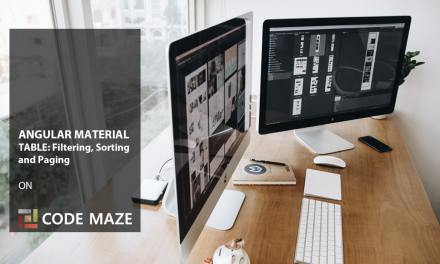 In the next article, we are going to show you how to use Material Input components and to validate forms as well. If you have enjoyed reading this article and if you would like to receive the notifications about the freshly published Angular Material content we encourage you to subscribe to our blog. 1. If ‘mat-progress-bar’ is an Angular component, then verify that it is part of this module. Hello Leonardo. It seams that you haven’t included MatProgressBarModule inside the imports and exports array inside the Material module file. At least, the error states that. i put this MatProgressBarModule in material.module.ts, but still problem. If you can’t solve it on your own, send us the code and we will look at it. Other than that, I can only read what error states.